Bentley Motorsport will once again take on one of the biggest challenges in motor racing in 2017 as it returns to contest the Nürburgring 24 Hours with its European partner team Bentley Team ABT and a pair of Continental GT3s. Building on the success of last year’s campaign, Bentley Team ABT’s Nürburgring drivers Chris Brück (DE), Christer Jöns (DE) and Christian Menzel (DE) will return alongside the team’s GT Masters graduate Jordan Pepper (SA). New-comers to the team Nico Verdonck (BE) and 2014 race-winner Christian Mamerow (DE) will round-out the line-up. In preparation for the event, which sees around 180 cars tackle the 21km-long Nürburgring Nordschleife in some of the most unpredictable and extreme weather conditions, Bentley Team ABT will enter the first two rounds of the VLN series, as well as the Nürburgring 24 Hours qualifying race. “Last year, in just our second attempt at Nürburgring 24 Hours, we finished in seventh place, which was well inside our top-ten target,” comments Bentley’s Director of Motorsport, Brian Gush. 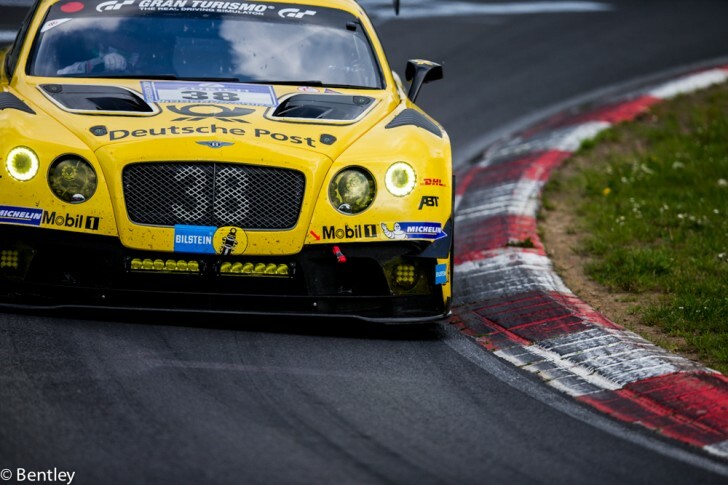 “This year, we aim to go even higher and we are in good position to do so thanks to the strong working relationship between ABT Sportsline and Bentley Motorsport.